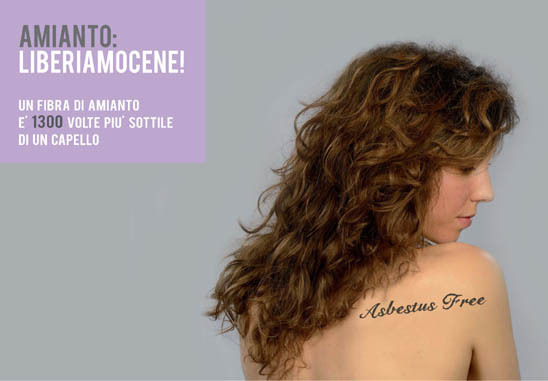 For IWMD 2013, a series of stunning images has been produced as part of the Asbestus Free, Amianto: Liberiamocene subito3 campaign; the backers of this initiative include the Italian General Confederation of Labor (CGIL), the Association of Families and Asbestos Victims of Casale Monferrato (AFeVA) and the trade unions UIL, UGL and ANMIL. 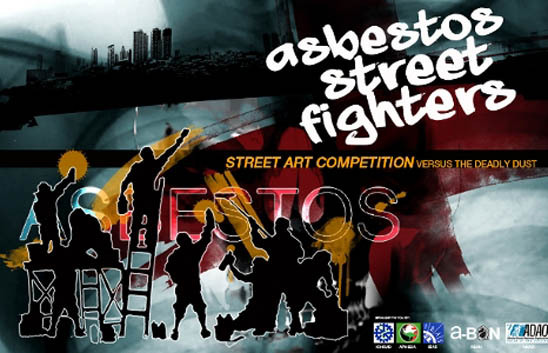 The artwork featured is a result of a national competition to create a public campaign to raise awareness of the public health risk from asbestos; the organizers were particularly concerned that the material used would speak to young people, aged between 18 and 35 years old. A series of six posters will be exhibited by municipal and union authorities in 14 cities designated as asbestos hotspots. One million postcards and information leaflets will be distributed in Italian schools, cultural associations, universities, public offices and local health authorities around the country. A Facebook profile and website [http://www.sosteniamolisubito.com] will provide real-time updates about events and developments. On April 23, a press conference will be held in Rome to launch this initiative. 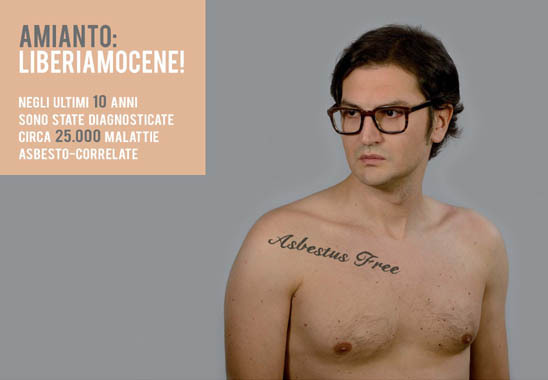 Whilst only time will tell if the objectives of this campaign will be achieved, having examined the images and solicited feedback from colleagues, I feel certain that this imaginative, vibrant and striking campaign will have a profound impact in Italy and abroad. 1 Standing up for workplace health and safety on 28 April, 2013. 2 Marikina gets facelift; receives second urban intervention from Asbestos Street Fighters. May 22, 2011. See also: Kazan-Allen L. Asbestos Center Stage on Workers' Memorial Day. April 27, 2011. 3 The spelling of Asbestos has been changed to Asbestus for artistic reasons.